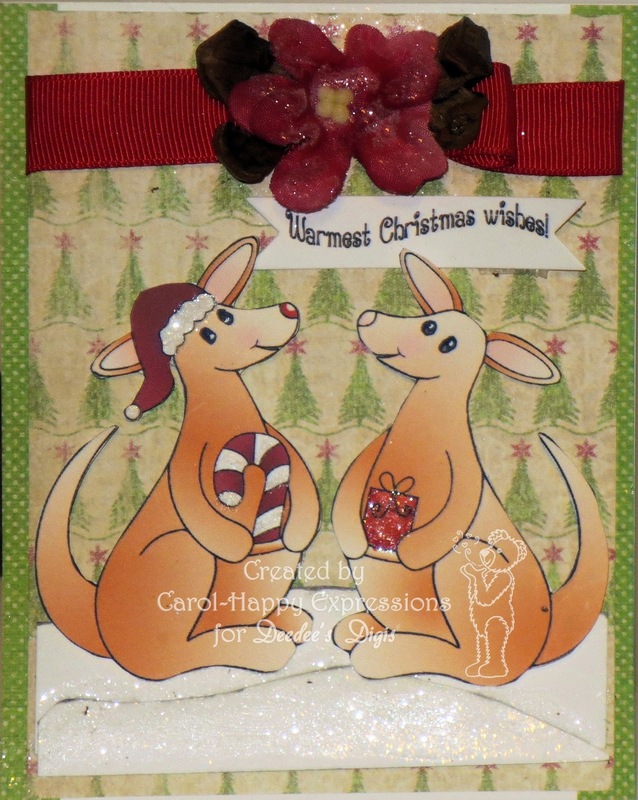 Here is a card I made from Deedees Digi Oh hoppy day! I thought it was such a cute set so I had to work with it. 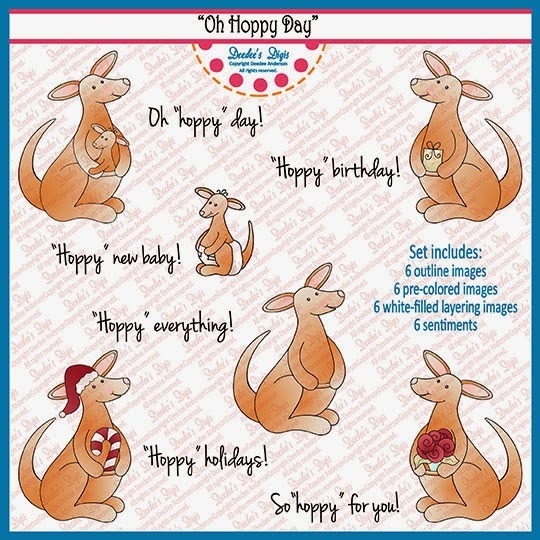 I used two of the kangaroos the happy holidays and happy birthday. I just thought it would be so cute to put two of them together. The card base is neenah cs and the DSP are from a K&Company Christmas paper stack.I have used the pre colored images and printed them onto neenah cs. I decided to make a few hills from the neenah card stock then hand cut a couple of hills. I then added some glitter to the snow and some on both images. The ribbon is from SU and I made a bow. The bow isnt showing up much now but it is there. I used a flower from my stash and glittered it with MS fine glitter. I found a pinecone in my stash and took off 4 of the little pieces and added them under the flower. I cut the sentiment with the bitty banner die. The kangaroos are popped up with foam dimentionals. I also decided I wanted the eyes bigger so I used a fine sharpie and then added the white back in the eyes. Very nice card and nice colouring thanks for sharing!!! Love it!! 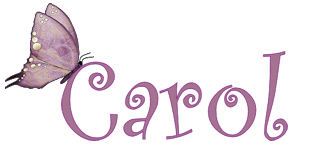 Such a cute image from Deedees and I think your coloring is so awesome! Thanks for joining us at Through the Craft Room Door challenge! Good luck and hope to see you next week.